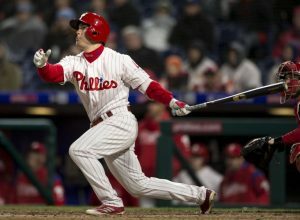 WEST CHESTER’S PHIL GOSSELIN MAKES THE PHILS A WINNER! 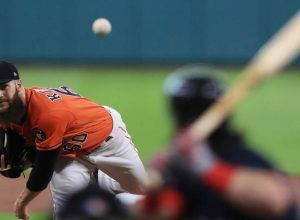 WHY WON’T PITCHING-THIN PHILS SIGN DALLAS KEUCHEL? 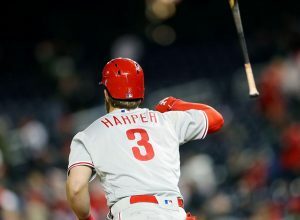 PHONY BRYCE HARPER JERSEYS WORTH $44K SEIZED BY FEDS! 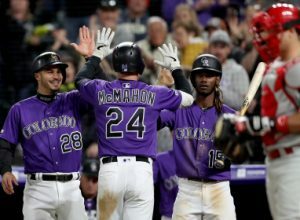 PHILLIES HAD A ROCKY NIGHT IN DENVER! 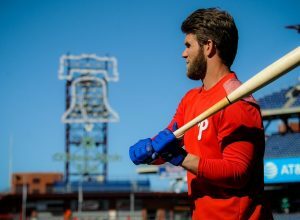 THE HARPER EFFECT: PHILS HOME ATTENDANCE UP 11,906 PER GAME! 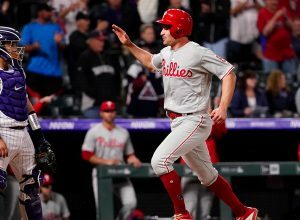 The Phillies went from 1883 until 1980 before they won a World Series, and they won again in 2008, and for baseball fans - who constantly read Phillies blogs, Phillies news and devour Phillies rumors - that period from 2007-to-11 was a true Camelot. It was always sunny in Philadelphia when the Phils dominated the NL East and for most of that period the National League. 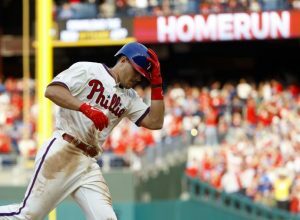 Less than three years removed from a dominant run that featured five straight NL East titles, two pennants and one World Series championship, the Phillies barely resemble the team that captured the hearts of a sports-crazed town that reads every Phillies blog and Phillies rumor that is part of Phillies news. 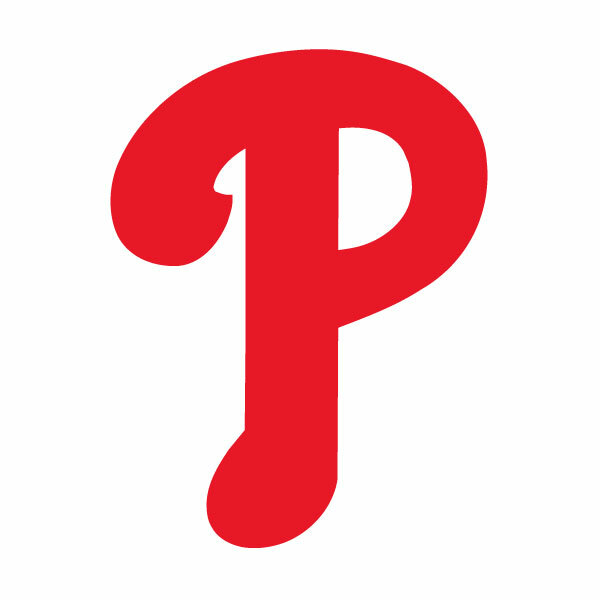 Several of the the star players who led the most successful period in franchise history are still here -- Ryan Howard, Chase Utley, Jimmy Rollins, Cole Hamels, Carlos Ruiz. They're getting paid for past performances and each -- except Hamels -- is well past his prime. That's part of the reason why the Phillies are in a mess. 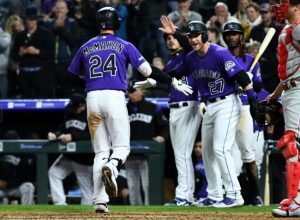 "Regardless of how we play, they're still going to make their decisions for the future of the team," Rollins told the Associated Press last week. And Phils fans still crave Phillies blogs, Phillies rumors and Phillies news. Rollins and teammates are clinging to hope they can turn things around. They're ballplayers so they have to think like that. 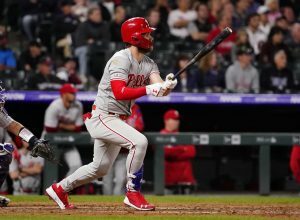 Reality says it's time for the Phillies to rebuild. 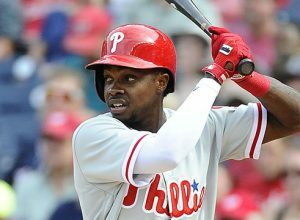 Since Hamels was selected 17th in 2002, only two of Philadelphia's first-round choices even appeared in a game for the Phillies and both are long gone. Only six of the 13 picks remain in the organization. Lefty Jesse Biddle, the most-prized of the bunch, has had a disappointing season in Double-A and was recently shut down to get a mental break. Though signs point toward a massive overhaul, Amaro is hoping for a quicker fix.